6 questions that every bride should ask when in search of the perfect wedding day lash! Long, luscious lashes are on every bride's wedding day wish list.But, there is a lot to know before embracing this beauty trend. So, we asked the experts at Edmonton's Lash Affair Lounge to break it down for us. 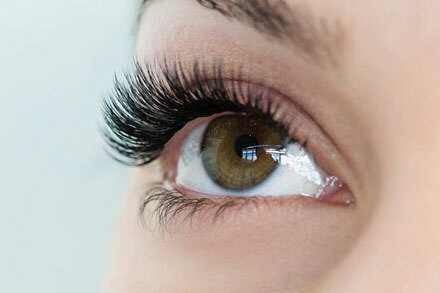 How long do eyelash extensions typically last? Are there ways to make them last longer? Lash extensions are individually applied to each natural lash and most extensions should last until your natural lash sheds. Natural lashes have a lifespan of 60-75 days typically, but we extend them at different stages of growth. 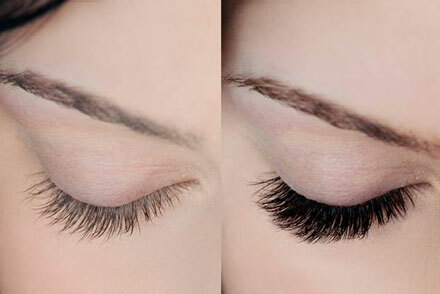 As your lashes naturally shed, they take the attached extension with them. This is why to maintain lash extensions, we recommend fills every 2-4 weeks to keep them full and perfect! What are the different types of curvatures you can use for eyelashes, what different effects does it create? There are a ton of different lengths, curls, and thicknesses available on the market for individual lash extensions. The length/diameter will depend on the type of natural lashes you have; for example, fine natural lashes will require finer lash extensions. A responsible lash technician will be able to tell you what will be healthy for your particular lashes, and will not use extensions that are too heavy or too long as this can stress your natural lashes. Then, there is the choice of curls which range from a very elegant natural curl – all the way to an ultra doll-like curl. Your technician will be able to tell you which curl will suit your eyes, and will best compliment your planned make-up look for your big day! 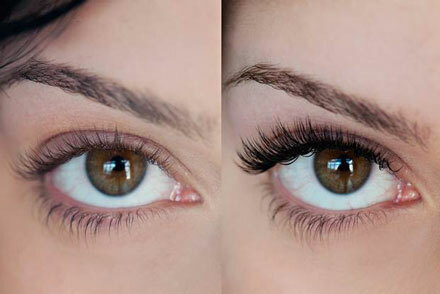 If I want to look my best on my wedding day, when should I plan to have eyelash extensions done? And why? It is recommended that brides come in 2-3 weeks prior to the wedding to try out lash extensions, and to make sure they are a good fit. This gives you a chance to see the length, curl, etc that your technician would recommend, and to adjust to them. It also gives us room to tweak the shaping/length/curl type when you come for a fill in 2-3 weeks (as close to the wedding as possible!). Many lounges will also offer group booking discounts for bridal parties, so bring your bridesmaids in and make a morning or afternoon of it! I've had friends that had eyelash extensions done poorly, how can brides make sure they find a place that properly applies eyelashes? 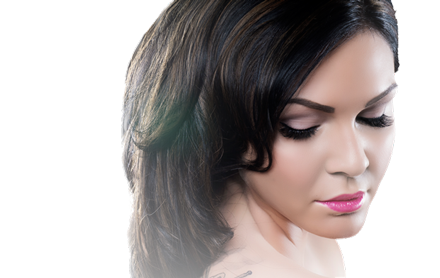 When looking for a reputable lash provider, look at a few key things: their portfolio, their reviews, and their website. Call and ask them about the different lash extensions they offer and the thicknesses they have for different lash types. If they don't offer different thicknesses, that's a bad sign. Not every natural lash can support a generic thickness plus when the extension is too heavy, stress to the natural lash can be caused. A reputable lash lounge will have ultra thin/thin/medium thicknesses on hand. They will also not over-extend your natural lashes. As a rule of thumb, lash extensions should be extended by 75% or less, and this, of course, depends again on the length of your natural lashes (eg: 6mm natural lashes could only be extended to a maximum length of 10mm). Only ever get extensions that are applied to ONE natural lash at a time. There have been many breakthroughs in techniques over the last year, and now "volume" lashing has taken the lash industry by storm. This new technique involves multiple light, thin individual lash extensions being expertly fanned and placed to ONE natural lash. This new technique uses lash extensions so thin that 3-6 extensions weigh the same as one traditionally used lash extension, when placing one extensions per natural lash. Volume lashing (multiple lash extensions per natural lash) should not be confused with Y/W/Flares/Semi/Cluster lashes which are pre-bonded into "groups" or "fans" and weigh considerably more than the true "multi-lash" or "volume 3d" extension technique which is performed by a skilled technician and which can be truly suited to your natural lashes with each bond. Cluster lashes, when applied semi-permanently, WILL damage natural lashes. Ask questions! Your technician should be able to happily answer any concerns or questions you have. If you have a bad feeling, trust it. I've heard of 'purple lashes' or 'ombre lashes'. What would you say are the current trends people have to try? There are a ton of colour options in the industry! Purple, brown, green, blue, gold, glitter, rhinestones – the list goes on! Brides should feel free to experiment and to tie in their wedding colours with their lashes! Why not? For 2014 in the fashion world, we are seeing softer lashes trending with a bold natural brow. To achieve this look: using thinner diameter lash extensions in shorter lengths gives a soft, elegant look which is really romantic, especially for weddings! If you're opting for a smoky eye on your big day, add a bit more length to your lashes to make sure they 'pop'! What's the difference between silk, mink, and mink fur lashes? How do brides know what to choose? silk – Provides a semi-gloss finish, and boasts a very full body of the extension with only the tip tapered down into a point. These lashes provide the fullest lash look. faux mink – Provides a semi-matte finish for a deep velvet look, and has a very deep taper (2/3 of the extension) to provide a soft, fluffy finished look. These lashes provide the softest finished look, really romantic. Mink fur sounds really appealing, but there are numerous negatives associated with this product, such as: cost, animal cruelty, and bad curl retention (they go straight once they get wet – unlike silk and faux mink), plus, there is a higher chance of allergy from using real fur. You can achieve equally pretty results by using silk or faux mink – it's better for you, for the animals, and for your wallet! a great many thanks to Courtney from Lash Affair Lounge, for all the great advice.